• Refractive errors in adults may be corrected with glasses or contact lens or more recent advanced techniques in refractive surgery. Risks and benefits associated with each option vary considerably. • Patients with an acquired unilateral ptosis should be evaluated for Horner's syndrome, myasthenia gravis, and cranial nerve III palsy. 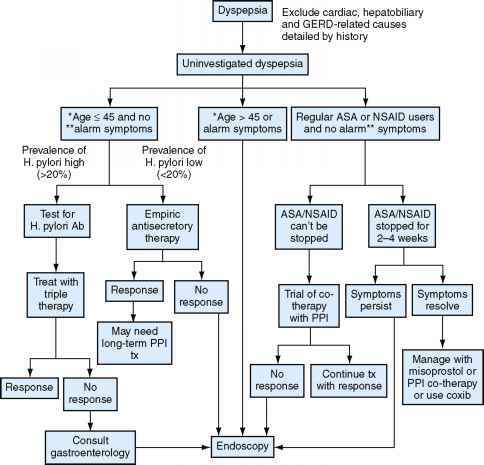 • Patients with recurrent anterior uveitis should be evaluated for ankylosing spondylitis, inflammatory bowel disease, sarcoidosis, juvenile rheumatoid arthritis, Reiter's syndrome, herpetic keratitis, and Lyme disease. Patients should be seen by an ophthalmologist for further evaluation. • Common causes of posterior uveitis include toxoplasmosis, sarcoidosis, cytomegalovirus, Epstein-Barr virus, Behçet's disease, and Bartonella infection. • Ocular medications, particularly antiglaucoma medications, are well known for having a variety of systemic side effects. Medications such as p-blockers may have implications for patients with heart or lung disease. 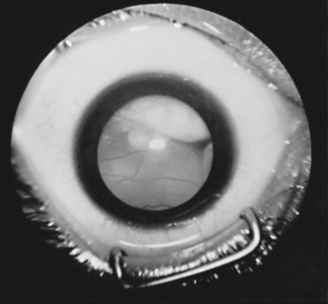 Figure 41-25 Total retinal detachment and advanced retinoblastoma in 23-month-old infant who presented with leukokoria (white reflex).